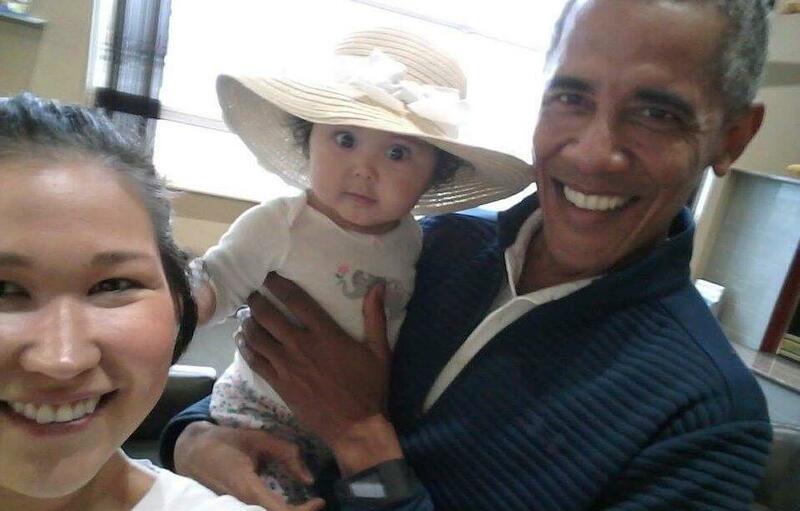 A mother from Alaska is cherishing photos she snapped of her wide-eyed six-month-old baby in the arms of former US President Barack Obama. Jolene Jackinsky was at Anchorage International Airport on Monday looking for an airline when she ended up in a waiting area for private flights, where a man she thought looked like Obama was sitting. 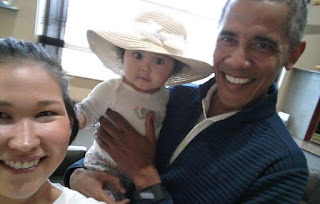 "As I got closer, I thought: 'Oh my God, it is Obama'," she recalled from her holiday location Newhalen , a small Alaska village, on Friday. Obama then walked up to her and asked "Who is this pretty girl?"